If you're looking for a high-energy, unique experience in Orlando, you've gotta check out Mango's Tropical Cafe! 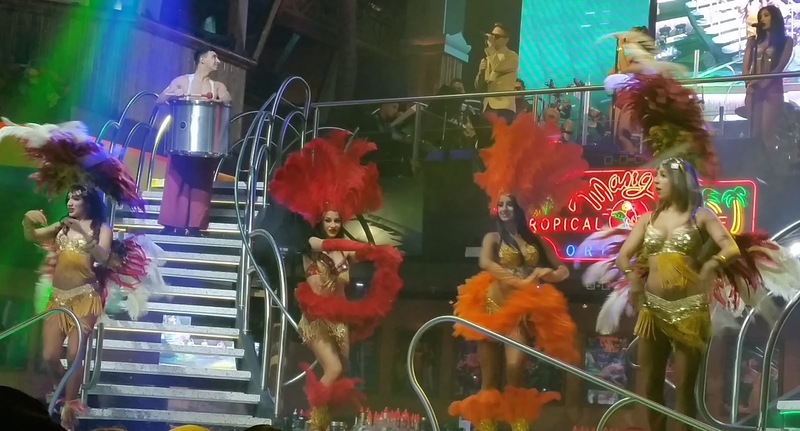 Picture a photoshoot entrance, amazing costumes, dancing and absolutely a gorgeous waitstaff that are so top-notch you can't help but be impressed. We had such a blast at their Friday night dinner show. We can't wait to come back with out-of-town guests. There's so much to say about this place...let's break it down! As soon as you walk through the doors you can feel the music. The dim lighting contrasts with the bright stage and costume colors to give an authentic, upscale feel. The performers belt out a great mix of traditional latin favorites and popular American music. As soon as the show started, we were immediately drawn in to the whole scene. I could have watched them salsa and bachata all night. The seating is close together, which makes you feel like everyone there is part of one big group. The table next to us was visiting from Colombia and their liveliness was contagious. Toward the end of the night the performers started a conga line around the room and everyone was laughing and dancing along with them. If you're looking to impress a group, we'd recommend bringing them to Mango's purely for the service alone. I can't remember the last time waitstaff was so attentive and on top of everything. Smiles and friendliness seem to be a top priority here, and it feels genuine. 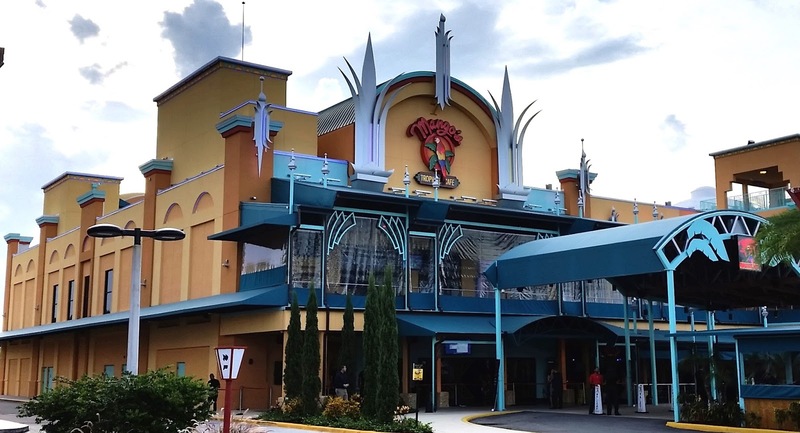 The restaurant also offers valet service, which is a big plus on International Drive because it takes the fuss out of parking. The menu is so large, I have to believe that there's something for everyone on it. The drinks alone were a few pages. We asked our server what she recommended and decided to go with her suggestions, which didn't disappoint. 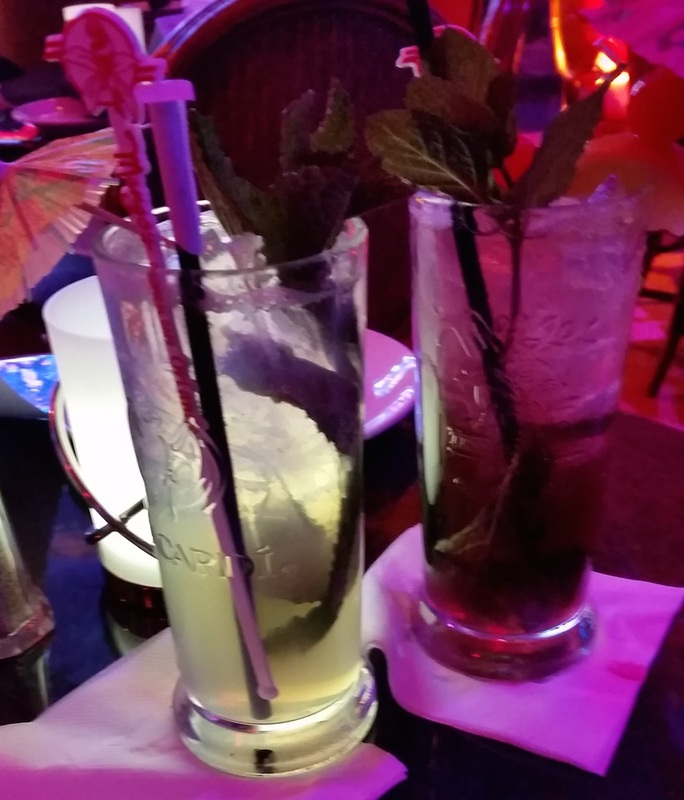 Since Mango's Tropical Cafe is known for their mojitos, we had to give them a try. 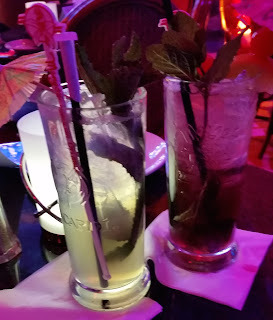 I like sweet drinks, so the Rocking Raspberry Lemonade mojito was perfect for me. If you're looking for a strong one, the famous Hemingway mojito is your drink. I took one sip and it about knocked me on the floor! 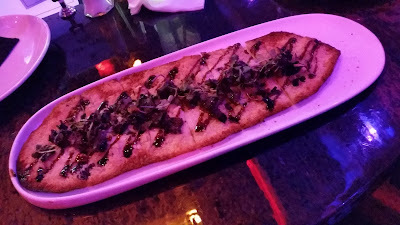 We started with a Churrasco bleu cheese flatbread appetizer with steak, bleu cheese and balsamic vinegar drizzle. Delicious and a great serving size for the two of us. As recommended, we ordered the Mango's Famous 'Al Ajillo' chicken and shrimp with garlic, white wine, lemon sauce, black beans and plantains and the Carribean Creole chicken with peppers, white wine, lemon and tostones. 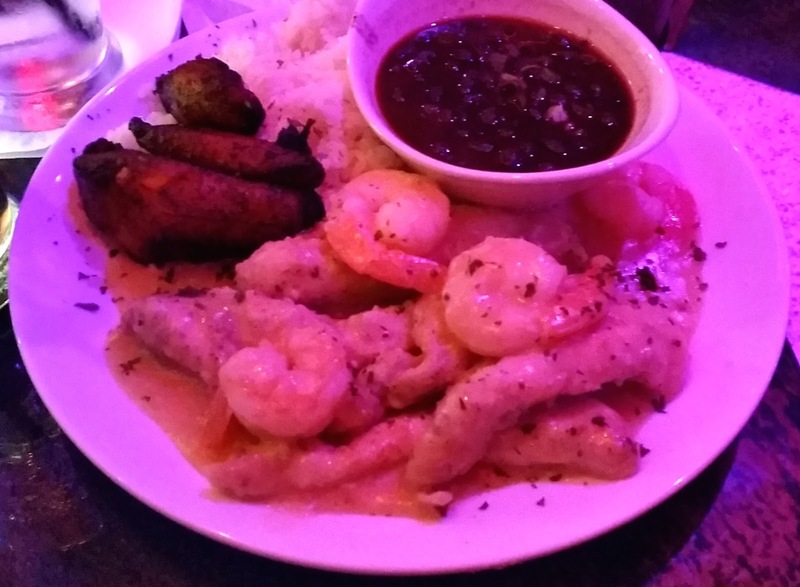 The Caribbean Creole chicken was our favorite because the flavors really pop. 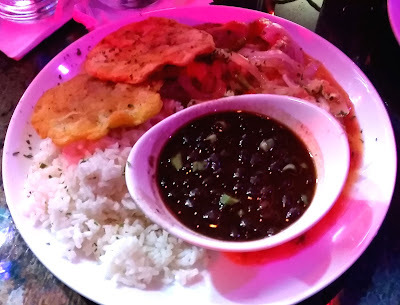 The portions are so large that we couldn't have fit another bite for dessert, but there was a great selection to choose from. This place was such a good time, it's an easy choice to take out-of-town guests who want a unique Orlando experience, especially adults with high-end taste. It's nice to have found a 'go-to' place when we want to impress people. You can make reservations directly through their website here!